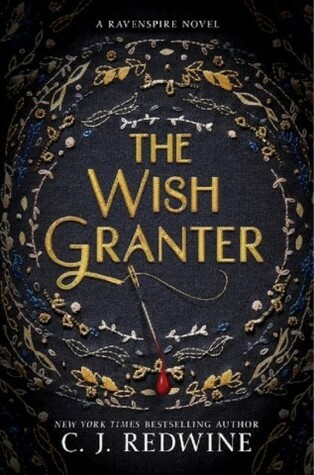 I really enjoyed THE WISH GRANTER! Honestly it was a bit of a surprise for me as Rumplestiltskin never really was my favorite fairy tale, but the author has won me over with this retelling. 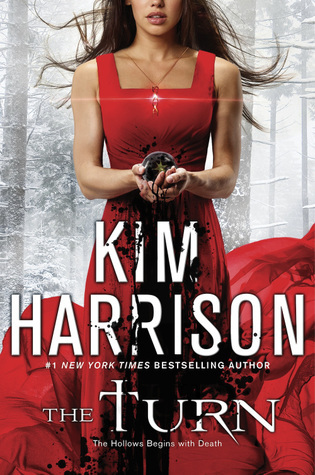 I was fully hooked from page one until the very end. Not one moment felt slow or lagging, which is rather impressive as it's decent sized book. Sure it's not action, action, action the entire time, but there's plenty of time spent building the characters and the story. I especially enjoyed seeing how much Ari grew from the start until the end. In the beginning she's uncomfortable in her newfound princess skin, and it really shows. But as time goes on, while she'll never be a traditional princess (NOT a bad thing) she does truly start to find her way. Navigating court politics is tricky enough, without even adding in their troubles with the Wish Granter. Speaking of character growth, Sebastian, the love interest grew an incredible amount as well. He truly was rather admirable, and honestly the perfect match for the new found princess. 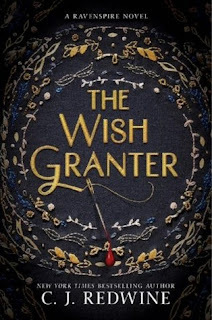 All in all, THE WISH GRANTER was a very enjoyable retelling, that kept me hooked from the start. C.J. 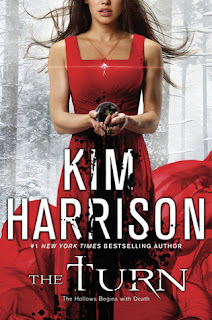 Redwine is two for two in this fantastic series, and I can't wait to see what fairy tale she'll tackle next! 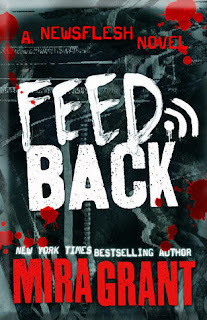 FEEDBACK is a full-length Newsflesh novel which overlaps the events of New York Times bestseller Mira Grant's classic Feed and follows a group of reporters covering the Democratic side of the Presidential campaign. Step inside a world a half-step from our own in this novel of geeks, zombies, politics and social media. Feedback by Mira Grant, aka Seanan McGuire is the fourth book in the Newsflesh series and picks up the story with an entirely new cast of characters.This isn’t the place for new readers of the series to start, as there are spoilers for other books, but it does connect with previous events, from a fresh perspective. Following the Rising, there’s been a shift in journalism, that being, it’s now done through blogging. Aislinn, Audrey, Benjamin, and Matt are housemates who all happen to be bloggers. 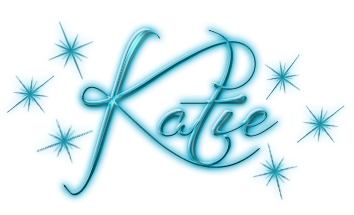 They cover different industries, from makeup to news and fiction. 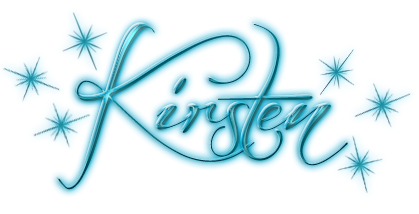 Events start to move quickly when they’re picked to cover the campaign of Susan Kilburn, the blue pantsuit-wearing Democratic presidential candidate. Covering the Republican nominee are the Masons, who readers will remember from Feed. Of course, no presidential campaign has ever run smoothly, and a zombie outbreak is the kind of disruption that makes more than a few headlines. On top of that, there’s a bigger conspiracy at work, and the bloggers soon find themselves targeted for uncovering and telling the truth. For anyone who wants to be up to date on the series and the world, start at the beginning of the series, but anyone who doesn’t mind potential spoilers can pick it up here and enjoy a story full of zombies, journalism, and an interesting cast of characters trying to report the news and stay alive.